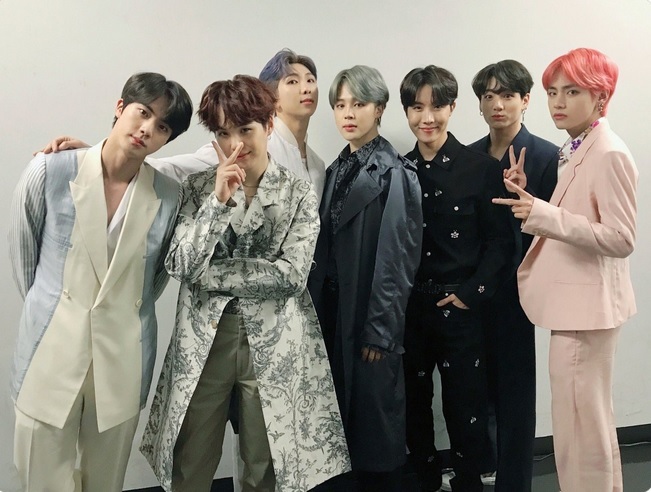 Bighit Entertainment has reportedly confirmed that the famous Korean boy band, BTS, will be a presenter at the prestigious GRAMMY awards on February 10, 2019. BTS’ Love Yourself: Tear album packaging is also a nominee for the Best Recording Package at the Grammys. 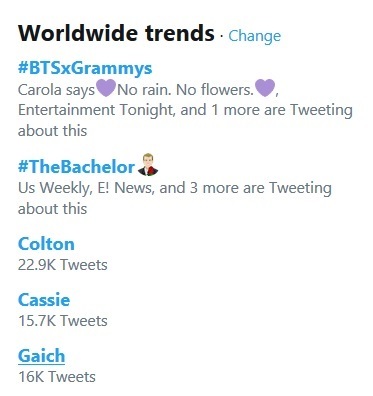 With this recent announcement, ARMYs trooped to Twitter to express their elation for the BTS boys participation in such a humongous and notable event; thus, #BTSxGrammys trended at #1 on the bird app. Obviously, the fans are thrilled, acknowledging the fact that it would be the first time that a K-pop boy band has been invited to such a prestigious event. BTS has broken another record – again. Variety reported it first and other media outlets scrambled to post the headline, as well. They knew the news would blow up on Twitter with millions of ARMYs all over the world. Over a year ago, I told my friend who works at the Grammys if BTS ever performed at the Grammys she had to take me along…and she scoffed at me for suggesting such an absurd thing. 2013—BTS promoting their free concert. 2019—BTS will attend and going to present an award on Grammy's. the wise powerful words of yoongi. Congratulations and Good luck to the Bangtan Sonyeondan boys and ARMYs all over the world, for this phenomenal feat.